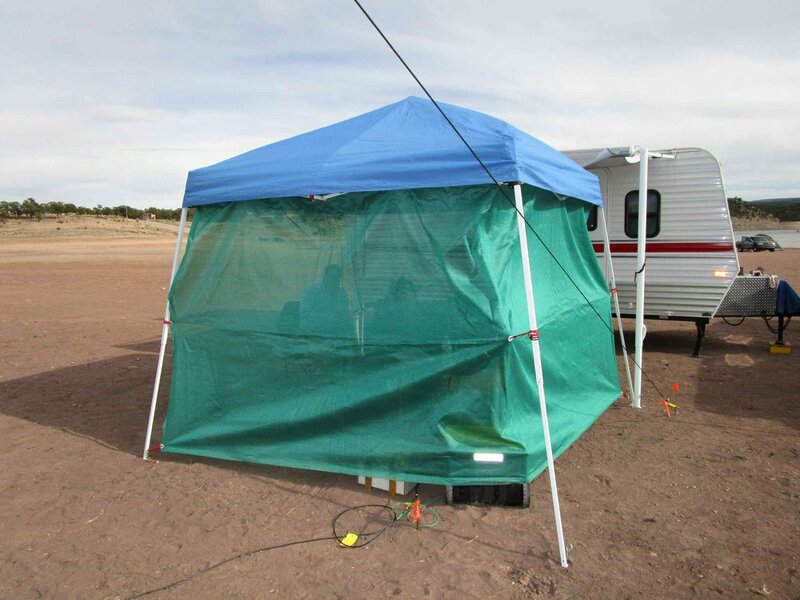 Although the Caravan Club members voted to not participate as a club in the 2016 New Mexico QSO Party on April 9th, several club members couldn’t take “no” for an answer. 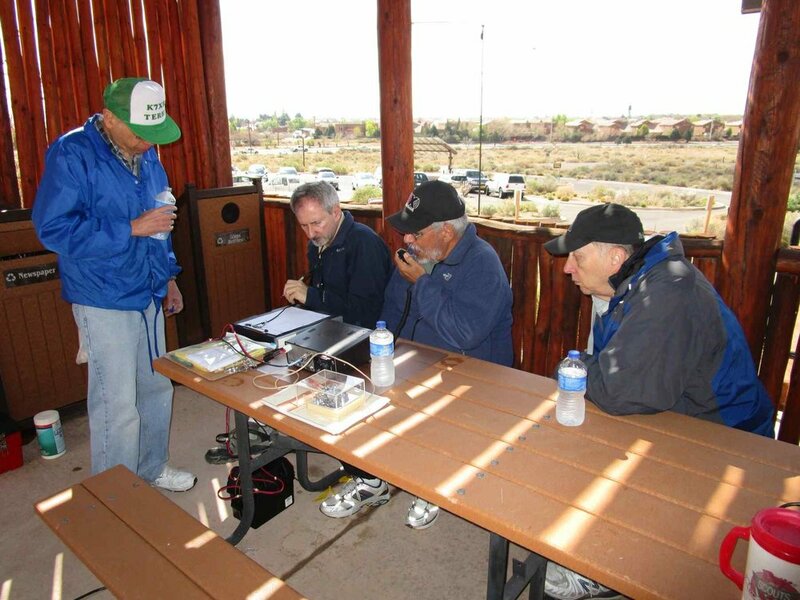 We arranged to meet at the Petroglyph National Monument’s visitor center in Albuquerque where we could score points in not only the NM QSO Party but also in the National Parks on the Air contest. 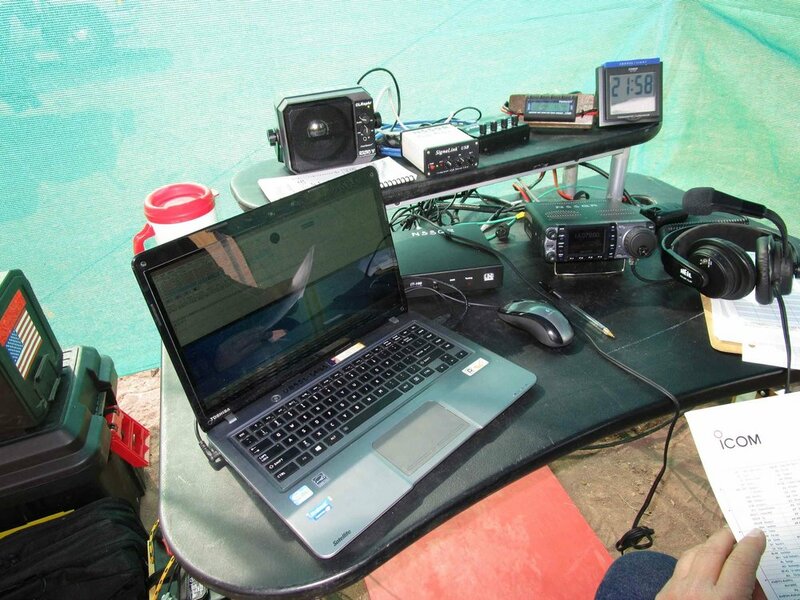 We had three transceivers on site (Neall W5NED’s Yaesu FT-450 plus his BuddiPole antenna, Bob N5JH’s Elecraft KX3 QRP rig plus his Alex Loop antenna and Terry K7XR’s Icom? mobile rig plus Hamsticks for various bands mounted on his car’s bumper). We also had a handful of other club members who were there to help and to learn. 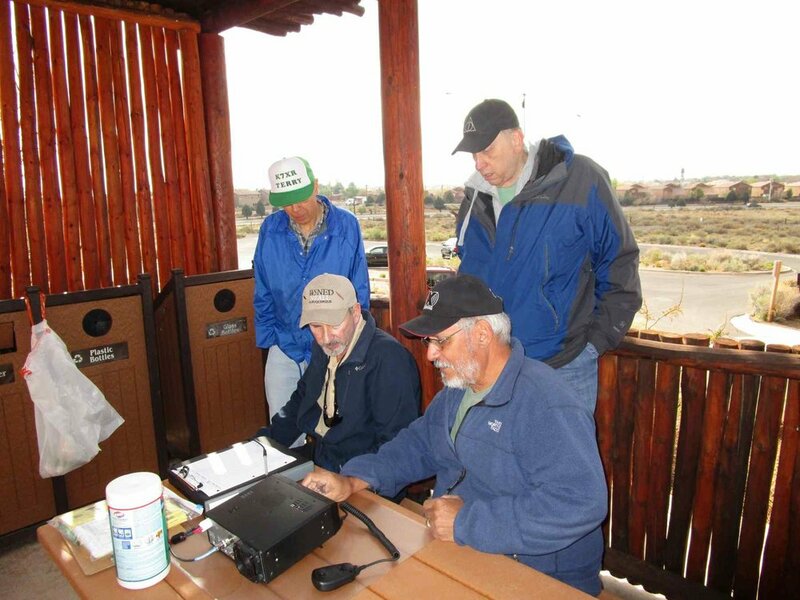 Terry worked in the CW mode while the rest of us attending took turns operating and logging on 20 meters SSB. 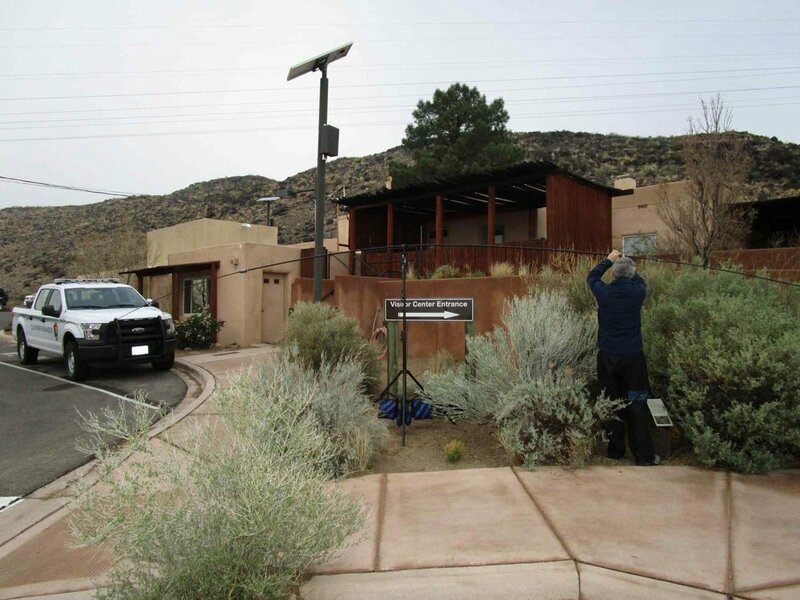 Our NPOTA call from our hard-to-collect Petroglyph National Monument in New Mexico resulted in instant pileups. Among the bunch of us we worked about 150 hams, mostly from New Mexico to the east coast plus several in Canada. As usual, by setting up in a field environment, we each learned more about our equipment and on-air techniques. We had a great time this year and look forward to future radio events.